Rinse, chop and serve! 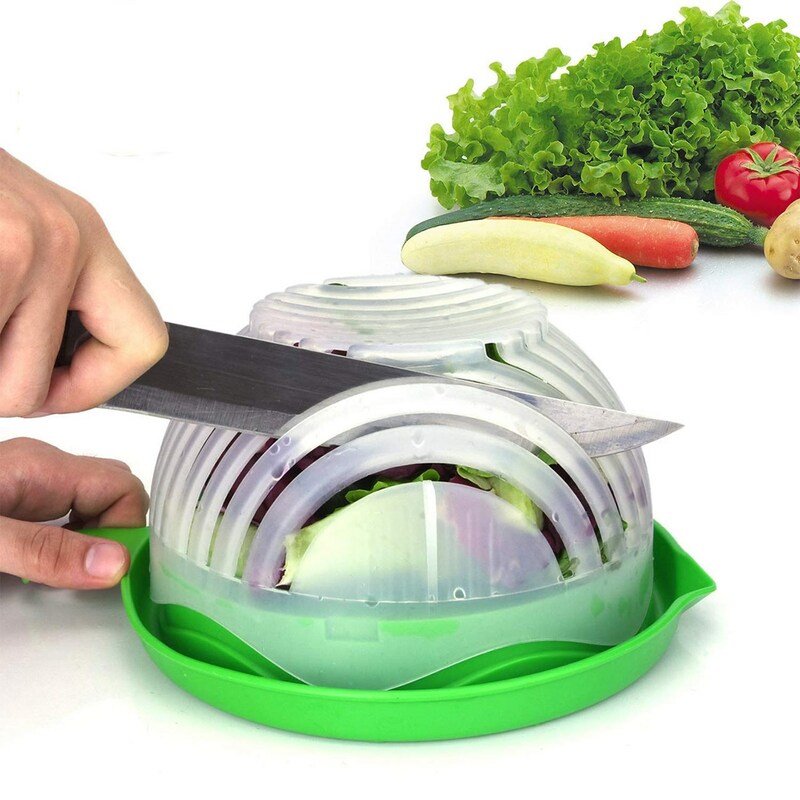 The EZ Salad Slicer Bowl with handle helps make your salad in 60 seconds! Fast and easy to use. No waste-- just fill your salad ingredients in the bowl up to 3/4 full and wash them. Close the bowl and cut the ingredients in the card slot to make small pieces. Rotate the upper cover and cut ingredients again in the slots and you will have a chopped salad with smaller pieces. Simply enjoy your vegetables or a healthy fruit salad! FDA certified. Base measures 7 in. 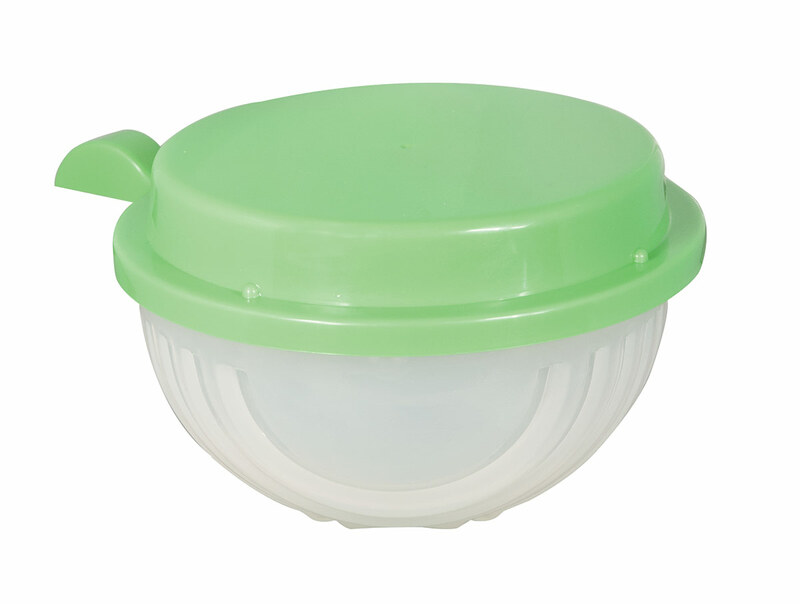 round, cutting dome measures 6 1/2 in. round. Height of product placed together 4 1/2 in. Lightweight molded plastic.